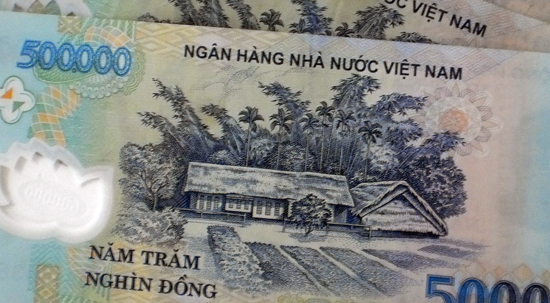 Hanoi is probably known for being home to more scams than average in Southeast Asia. Here's what to watch out for to help you avoid them. Keep an eye on your dong. First, let’s get some definitions agreed, as I feel the word “scam” is overused. A scam is not someone trying to charge you 100,000 VND for a silk scarf when you know your friend bought one for 50,000 VND yesterday — that’s just good business sense, and you can always say no. A scam is someone doing something wrong/illegal/underhand in order to cheat someone out of money. Based on that definition the main scams in Hanoi involve transport — particularly taxis to and from transport hubs like stations and airports. They’re scams because you are being blatantly overcharged and cheated by dodgy meters, or by drivers deliberately taking long routes or going to the wrong hotel. We've written about taxi scams in detail here. One scam to watch for is the exchange rate con. Unscrupulous hotels quote rates in dollars, then when you want to pay in dong, inflate the exchange rate well up. For a long stay, this can really sting. It’s easily countered, however. Before booking, if possible, ask the price in the currency you are going to pay in. If you’ve pre-booked, then check again when you arrive. If the rate is too high, then get that out in the open before you hand over your passport or any other guarantee. Alternatively, pay in the currency they’ve quoted — usually dollars. In any case, carefully check your bill before paying up. So the hotel puts you in a room with a broken shower/ cracked TV/ripped bedding, and then when you go to check out they try to charge you for the damage. Avoid this by ensuring you inform reception immediately of any damage when you check into a room. If you’re at all suspicious of their motives or attitude, get them to write it down, or fix it straight away. Also — and this isn’t just related to the above scam try to avoid leaving your passport as a deposit. If things get nasty for any reason, it’s easier to walk away if they’re not holding your passport. Instead, if they need a guarantee, pay in advance — you might lose a bit of cash but that’s nowhere near as much hassle as losing your passport. And make sure you do your research on the hotel you’re staying at first so you don’t end up suffering the same fate as those before you. Do your research and ask for recommendations. Tours can sometimes cause problems. 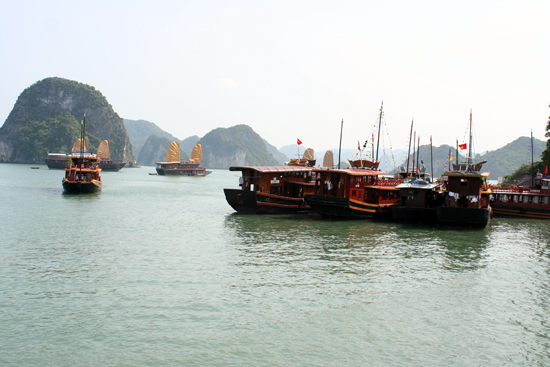 For instance, hotels and travel agents may sell you a “deluxe” Halong Bay tour which is certainly not deluxe, or use fake photos to present a rosier image than the reality. The only way to avoid this is to get recommendations from other travellers or online and shop around, but it’s still a tricky area and one that has no fail-safe solution. This applies for tours and travel booking — the rates that agents charge for train tickets is far higher than the face value and varies by quite a bit between agents. Although it's important to differentiate between scams and general over-charging — when you can say no/negotiate/go elsewhere — being over-charged for something you don’t know the fair price of could be classified as a scam in some instances, such as visa extensions, when the agent or hotel wants US$50. Is that a reasonable price or expensive? Visa prices change regularly, and differ by nationality and other factors so make sure you shop around rather than accepting the first price you get. In theory it’s possible to go to Immigration and do it yourself, but we recommend you pay a bit extra for an agent to do it for you.